The Agenda with Steve Paikin: Iran: A Path to War? Some interesting points came out from the April 20, 2012 episode of TVO’s, The Agenda with Steve Paikin: Iran: A Path to War? 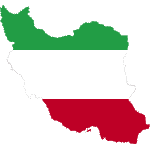 It was stated that Iran only needs 3.5% uranium enrichment for the medical isotopes they say they need their enrichment for, despite enriching up to 20%. One panelist said Israel could attack before the 2012 presidential election, with another disagreeing. It was mentioned that the U.S. has a 30,000 pound bunker-busting bomb while Israel’s biggest bomb is only 5000 pounds, and, therefore, only the U.S. would have the capacity to mount an attack within the weeks it was said Iran could make the decision to weaponize. Khomeini’s fatwa against nuclear weapons was mentioned, with the panelists saying the decision to weaponize will be based on secular concerns, and one panelist arguing that the fatwa was essentially useless in the current context, while another panelist said it was very important and would be used as a face-saving measure if the Iranians choose not to weaponize. What wasn’t discussed, unfortunately, though predictably, was the terrorism likely perpetrated by Israel, like the Stuxnet virus, the assassinations of Iranian nuclear scientists, and India bombings. Predictions about when Iran will be attacked are a dime a dozen, like this bogus prediction by Alex Jones’ “insider” sources about an imminent Israeli-U.S. attack on Iran in 2011. I didn’t see the above-mentioned episode because I don’t watch S. Paikin anymore. I used to watch Diplomatic Immunity and was disappointed with the completely one-sided debate. They would never even mention Israel’s insane psychopathy; never dwelt on U.S. war-mongering. It was always a matter of those bad old terrorists and how best to deal with them. The show was a complete farce. I don’t see how Mr. Paikin can refer to himself as a journalist.